After emerging victorious in three BJP-ruled States, it appears that Rahul Gandhi is ready to fight alone in other States. He recently instructed party leaders from West Bengal to start preparations for fighting on all 42 seats of the State. The State Congress leaders have convinced him that they can win more seats on their own than after going into an alliance. They argued that if the party goes alone in the State, at least its cadre will be revived in all districts. On the other hand, Rahul does not see any possibility of an alliance in West Bengal. The Left parties have suffered a huge loss after going into an alliance with the Congress and will not repeat the mistake. At the same time, the TMC will not leave a single seat for anyone else, so the Congress doesn’t really have any other option. Apart from West Bengal, the Congress will also fight alone in Uttar Pradesh. It is being said that the Samajwadi Party and Bahujan Samaj Party are not ready to take the Congress along with them. Both parties have almost reached a consensus on seat-sharing and have kept the RLD with them, leaving just two seats for the Congress. They think that if the Congress fights alone, they will benefit more. So, in UP too the Congress will find no alternative. Apart from these two States, Rahul is gearing up to contest on his own in Telangana and Andhra Pradesh as well. In the Telangana Assembly Elections, the Congress had gone with the TDP, but results proved that both parties would not go into an alliance ever again. Even in Assam, the Congress will go solo, as Rahul has learnt his party will suffer if it joins hands with Badruddin Ajmal. Mayawati has offered unconditional support to the Congress in Rajasthan as soon as the results were out. But before elections, she left no stone unturned to defeat the Congress. In Chhattisgarh, she went with Ajit Jogi’s Janta Congress Chhattisgarh (JCC) and tried her best to create problems for the Congress. Though clearly her efforts were in vain, as the Congress only reaped benefits while the BJP suffered. After the alliance, Jogi’s party is established. The JCC and BSP got 11.5 per cent votes and won a total of seven seats. Now, it is being said that both parties will go together in the Lok Sabha Elections as well, and sources say alliance talks are already under way. Of the total 11 seats, Jogi’s JCC will fight on seven, and Mayawati will fight on four. This also proves that Mayawati is not ready to keep the Congress with her in UP. She believes that the party will not give her a single seat in any other State, whereas going alone or getting into an alliance on the State level might get her some seats. That is why she is gearing up for either going alone or into a State-level alliance. In Maharashtra, the seat-sharing formula has been finalised between the Congress and NCP. There are total 48 seats and the fate of 40 seats is almost decided. Decision is still pending on eight seats. There are some seats out of those eight where both parties have staked claim. For some seats, the parties are waiting for a green signal from the regional stalwarts. The Congress and NCP are waiting for farmers’ leader and MP of the Swabhimani Paksha, Raju Shetti, for the seats in Maratha-dominated areas. Shetti broke away from the BJP and is demanding six seats from the Congress-NCP alliance, while both parties want to give him only one. They might leave the Hatkanangale seat, from where Shetti is an MP. In the same manner, the Akola seat can be left for Dr Ambedkar’s grandson, Prakash Ambedkar. The Congress and NCP might leave one seat for the BSP also. So, the two parties will declare their seat-sharing arrangement only after talks with Shetti, Ambedkar, and Mayawati. Ashok Gehlot is the new CM of Rajasthan, but he is still holding the additional responsibility of the Congress General Secretary. Recently, when Rahul Gandhi appointed KH Patel as the chief of the campaign committee in Karnataka, the letter had Gehlot’s signature. But this is an interim measure only. The Congress President will soon appoint a new General Secretary. This can’t be deferred for long like the decision on the Deputy Leader in the Lok Sabha had been deferred. Captain Amarinder Singh had become the Punjab CM in March 2017 and he had stopped attending Parliament much earlier, but still no appointment has been made in his place. Hopefully, things will be different this time around. Sources in the party say a new General Secretary for the organisation will be appointed very soon. There is speculation that Janardan Dwivedi might come to the forefront again. It is being said that the Congress is trying to grab its old vote bank of Brahmins. If a Brahmin leader is made the General Secretary, a positive message will be sent to Haryana, Delhi, and UP. Though many leaders feel that he was neither given any other responsibility after his removal nor was he given a place in the CWC, so his comeback might be problematic. Apart from Dwivedi, five other names are being discussed. Two are old guards of the Congress and three are part of Rahul’s team. Mukul Wasnik seems to be the most obvious choice amongst veterans. He is currently the General Secretary, in-charge of the Central Election Committee, and a member of the CWC. Ghulam Nabi Azad is also in the running, but since Ahmed Patel is the treasurer and Azad is leader of the party in the Rajya Sabha, his chances are dim. 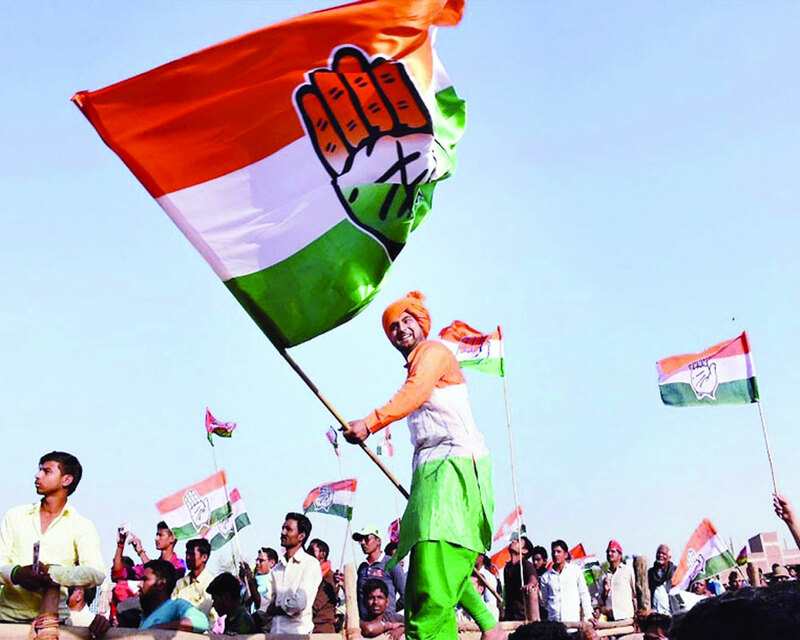 Among new leaders, Ajay Maken, Randeep Surjewala, and Jitendra Singh are in the race. Maken was General Secretary of the party and is now President of the Delhi unit. Surjewala and Singh are in-charge General Secretaries and permanent invited member of the CWC. Apart from them, there are other contenders too and an appointment can be expected soon. Other State Presidents will also be appointed soon.